The Airbus-M medium satellite bus used for the 712 kg Spot-6 and Spot-7 earth resource satellites. Other Airbus satellite platforms received retroactive Astrobus designations. Satellite bus built by Astrium (ex Dornier), Europe. AKA: AstroSat;AstroSat-500. Status: Operational 2012. First Launch: 2012-09-09. Last Launch: 2014-06-30. Number: 2 . TerraSAR-X German civilian surveillance radar satellite. Scientific / commercial surveillance satellite, equipped with an X-band synthetic aperture radar with 1 meter resolution SAR satellite built by EADS Astrium for DLR, InfoTerra, Germany. Launched 2007 - 2010. Used AstroBus. Sentinel 2A, 2B, 2C, 2D Earth Observing (Ocean) satellite built by EADS Astrium => Airbus Defence and Space for ESA, Europe. Launched 2015 - 2017. Used AstroBus-L.
CHEOPS Astronomy satellite built by Airbus Defence and Space for ESA, Europe, Switzerland. Used the AstroBus-300 (AstroBus-S) / Myriade-Evolutions bus. MERLIN satellite Earth sciences satellite built by DLR, CNES; Airbus Defence and Space (bus) for DLR, CNES. Used the AstroBus-300 (AstroBus-S) / Myriade-Evolutions bus. Paz SAR satellite built by EADS CASA Espacio for Hisdesat. Used AstroBus. Sentinel 5p Earth Observing satellite built by EADS Astrium => Airbus Defence and Space for ESA. Used AstroBus-L 250 M (AstroSat-250). Family: Earth. Country: France. Launch Vehicles: PSLV. Launch Sites: Sriharikota PSLV. Bibliography: 12119. 2015 June 23 - . 01:51 GMT - . Launch Site: Kourou. Launch Complex: Kourou ZLV. Launch Vehicle: Vega. Sentinel 2A - . Mass: 1,130 kg (2,490 lb). Nation: Europe. Class: Surveillance. Type: Surveillance satellite. Spacecraft: Astrobus. USAF Sat Cat: 40697 . COSPAR: 2015-028A. Apogee: 790 km (490 mi). Perigee: 788 km (489 mi). Inclination: 98.57 deg. Period: 100.64 min. Visible/infrared band earth observing satellite. The visible camera had a 10 metre resolution and a 290 km swath. Sun synchronous orbit; 1030 GMT local time of the descending node. Built under a EUR 195 million ESA contract as part of the European Global Monitoring for Environment and Security system. 2016 September 16 - . 01:43 GMT - . Launch Site: Kourou. Launch Complex: Kourou ELV. Launch Vehicle: Vega. PeruSAT-1 - . Nation: Europe. Class: Surveillance. Type: Surveillance satellite. Spacecraft: Astrobus. USAF Sat Cat: 41770 . COSPAR: 2016-058A. Apogee: 678 km (421 mi). Perigee: 676 km (420 mi). Inclination: 98.20 deg. 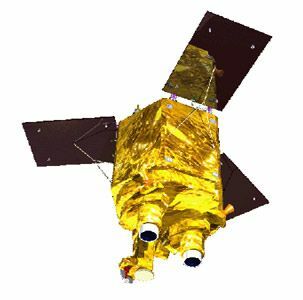 Optical surveillance satellite for the Peruvian military..
2017 March 7 - . 01:49 GMT - . Launch Site: Kourou. Launch Complex: Kourou ZLV. Launch Vehicle: Vega. Sentinel-2B - . Mass: 1,130 kg (2,490 lb). Nation: Europe. Class: Surveillance. Type: Surveillance satellite. Spacecraft: Astrobus. USAF Sat Cat: 42063 . COSPAR: 2017-013A. Apogee: 782 km (485 mi). Perigee: 776 km (482 mi). Inclination: 98.60 deg. See Sentinel 2B. ESA Sentinel-2B imaging satellite, part of the EU's Copernicus Earth observing system, launched by Vega VV09..